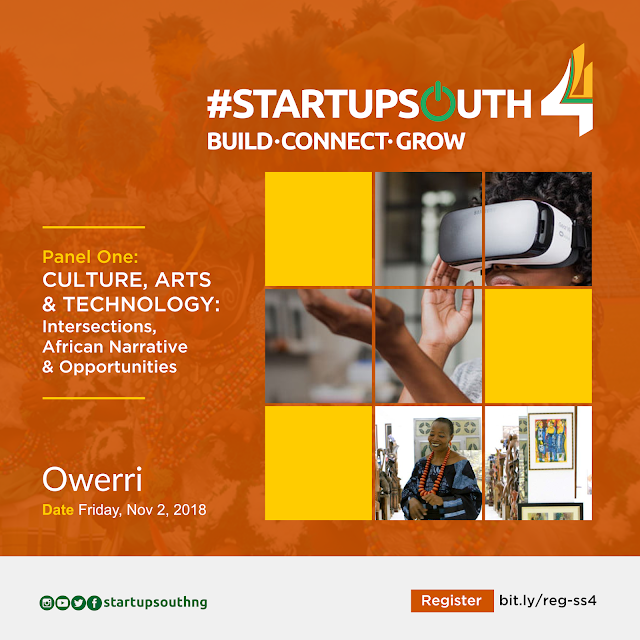 On November 2, 2018, Owerri the capital of Imo State will play host to #StartupSouth4 - arguably the biggest Startup and Entrepreneurship conference in the South-South and South-East. Every year, #StartupSouth brings together the brightest startup founders, leading entrepreneurs, early stage investors, policy makers and startup incubators to a city in the South-South or South-East and allow them to connect, learn from each other and most importantly for founders in the region to secure investment. It is also an opportunity to showcase the cities in the South-South/South-East and promote their potentials to potential investors. Participants at this year’s edition will have the opportunity to tour Owerri and enjoy a boat ride on the famous Oguta Lake. After the last edition at Aba, two startups have gone on to raise combined $40,000 with another raising a follow-on seed of more than $20,000. Cumulatively, over $350,000 has been raised by #StartupSouth Alums with several more currently at different stages of deal negotiations. 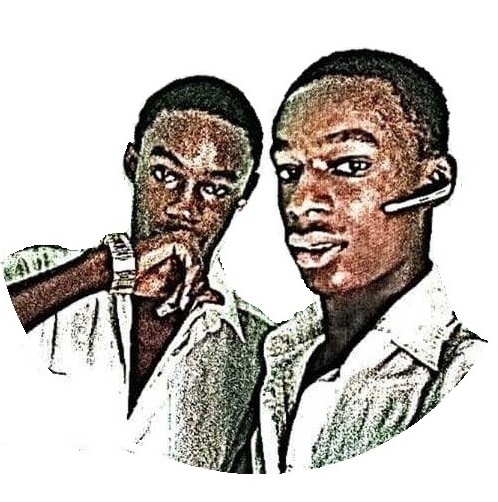 The theme of this year is Nichely, Strongly, Global - an exploration of how cities within the region can go niche, amplifying their positions of strength to compete favorably in an interconnected globalized world. #StartupSouth4 will provide a unique opportunity for startups to connect with investors, strategic partners, leading incubators/accelerators, and professional service firms from within and across the regions. The conference will feature Fireside chats with Successful Startup Founders, Policy Makers and Investors from across the world, Pitch Sessions, third party content/panel programming, Networking and post conference party and a boat cruise at the beauteous Oguta Lake. 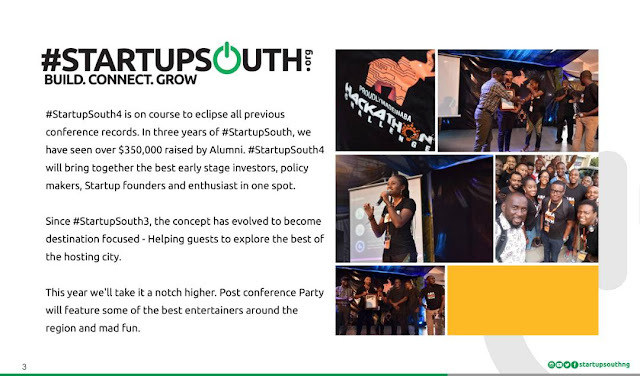 Worthy of note is that this year, #StartupSouth is taking experimental steps to becoming an Event-as-a-Platform model featuring contents by partnering organisations. Brands, business communities, associations and anyone with a great content proposal capable of adding value to the participants (especially the Startup/SME communities) will be reviewed and approved. The regular pre-conferences (now #Foretaste) - a pre-event/Tour of Ten different cities within the region - is scheduled to start on July 20, 2018 in Port Harcourt. 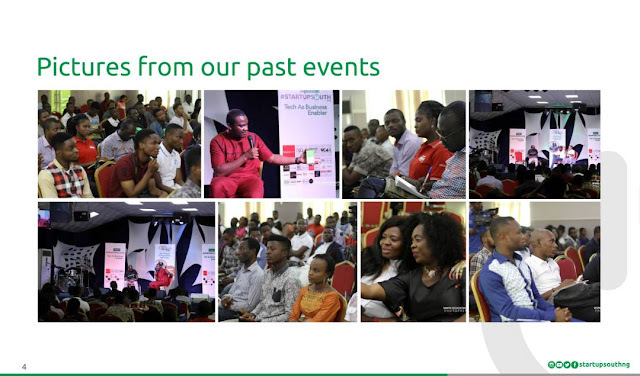 #StartupSouth4 #Foretaste enlists a set of exciting activities leading up to the main event featuring Business Townhall meetings, Panel Session, interviews, Product presentation by partners, gifts and more. 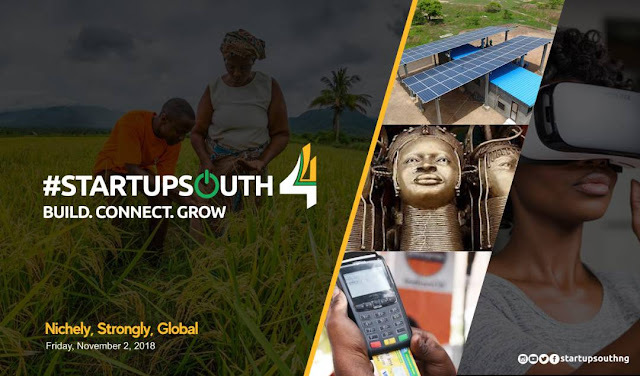 Some invited guests #StartupSouth4 include HE, Prof. Yemi Osinbajo, Vice President, Federal Republic of Nigeria (unconfirmed), DG of SMEDAN, Governors and Representatives of Government of States in the South-South and South-East, Heads of Corporations and the Organised Private Sector Leaders. Others include Mr. Innocent Chukwuma (Regional Director, West Africa, Ford Foundation), Mr. Collins Onuegbu (Vice-Chairman, Signal Alliance & Director, Lagos Angel Network), Jason Njoku (Founder IROKOtv), Bosun Tijani (Co-Founder, CCHub), Rotimi Williams (Founder, Kereksuk Rice Farms), Yewande Kazeem (Founder, Wandie Media), Onyeka Akumah (founder, FarmCrowdy) and many more. 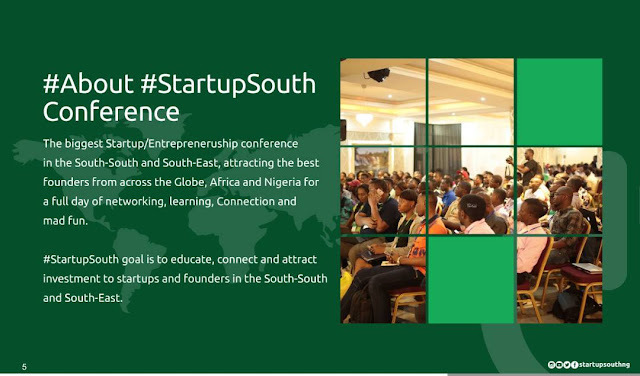 #StartupSouth is a Startup/Entrepreneurship ecosystem development and intervention project focusing on the South-South and South-East. The simple goal of #StartupSouth is to Connect Startups and Founders residing and operating out of South-South and South-East Nigeria, Expose/Educate and Attract Investment to them. StartupSouth started as an event in 2015 but have since evolved to include startup mentoring, training, funding and now, city business discovery project.